I had meant to write this post a few days ago, but I have been so busy with baby girl I didn’t realise the end of the month was here! So here it is – looking back over the month of March. March has been a great month for us. My husband had his birthday and a week off from work. This gave us a really great first family week together. We went out and did something every day. This was great for me as I haven’t been able to drive due to my c-section. We went out for lunch to our local Brewers Fayre, which was not the best experience I had as a breastfeeding mother, you can read about that Here. We went for some lovely walks around where we live. 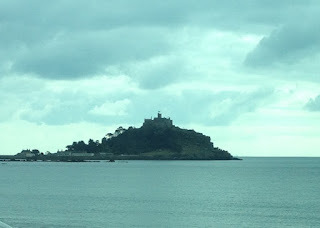 Popped down to Hayle for one of the best Cornish pasties around at Philps, then drove down to Marazion to eat them overlooking the sea and St Michael’s Mount. That’s what I call lunch with a view! I haven’t had a lot of time to enter many competitions so I’ve been really lucky to have a couple of great wins for March. They were a case of gluten free pasta which I won on Twitter from Rizopia which is made from brown rice, and I won a competition with the Gro Company where I could choose any two items from there website. I chose the wash and wear two pack of gro-bags 0-6 months for baby girl and the Hetty mobile for over her cot. 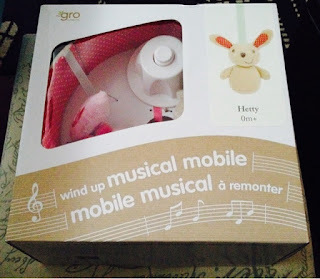 I am a huge fan of the gro-bags! It puts my mind at rest knowing baby girl is warm at night as she used to kick blankets off all the time! On the blog front I celebrated my 1st Blogiversary and had a fantastic response to the giveaway I hosted. The lucky winner won 4 books and a box of chocolates. I hope you enjoy them Angela! I also decided to give my blog a makeover, my life has changed since I had baby girl and I want my blog to reflect the changes happening so I am now obsessed with anything baby and parenting! I still want to continue with my book reviews (although the time for reading now has dramatically reduced!) and my competition wins posts but I have little time for these activities at the moment as well as writing my posts, so I am now blogging about my experiences as a first time mum with other baby and lifestyle bits and bobs as well. I don’t have any computer or design experience but I gave it a really good go designing my new header and have found a template I think really fits. It looks fresh and neat. I am chuffed to bits I have increased my blog views, Twitter followers, Facebook page likes and Instagram followers over the past month. It might be only by a few but this means a lot to me that my posts are being read and liked. 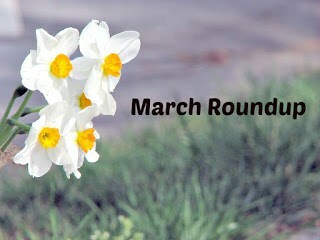 I hope you all had a really good March, did you achieve what you wanted to with your blog? 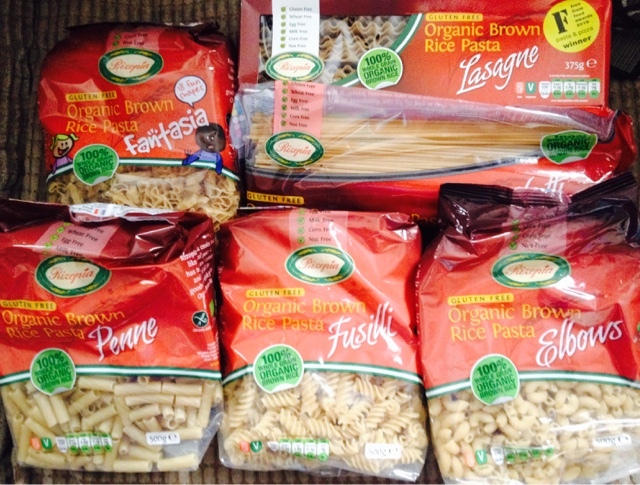 Aw well done on winning your gluten free stash! And! Well done for increasing your views! Just read about your unpleasant experience in Brewers Fayre. Some people can be so rude! I would have been upset too. There should also be better facilities on site as one toilet with baby changing facilities AND disabled access isn't really good enough especially in busy periods.